In this week’s two minute property investment news video I talk about the booming property markets. There’s been lots of talk about the need to cool booming property markets, but there’s a worry policymakers might be too narrow in their analysis when considering issues such as negative gearing and grants. Sydney, and to some extent Melbourne, have all been performing well over the past year, but there are plenty of other localities that would love to see growth in their real estate values. 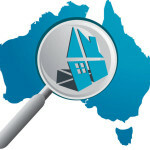 The Housing Industry Association have released a report entitled A Portrait of Australian Home Prices in which they point out that, in real terms, dwelling price growth has been at a single-digit rate in every capital city over the past year, with the exception of Sydney. Outside of Sydney and Melbourne, real dwelling price growth was just 2.2 per cent in the year to June 2014… so that’s after accounting for inflation. In other words, while there may be great expectations for cities such as Brisbane, there hasn’t been staggering growth in values as yet. The report goes on to point out that It would not be a desirable outcome for the rate of growth in Sydney and Melbourne median home prices to continue at its current pace, but much of the current commentary around the housing price cycle tends to imply strong growth is considerably more widespread than is actually the case. Given the recent decision to keep interest rates on hold, but with expectation they will rise in the coming years, the HIA is suggesting the softer 60 per cent of our country’s property markets may end up paying the price for the strong 40 per cent who’ve already enjoyed strong growth this year.